Artist Mooglymoo hand paints wooden instruments in her studio in Taunton, UK. 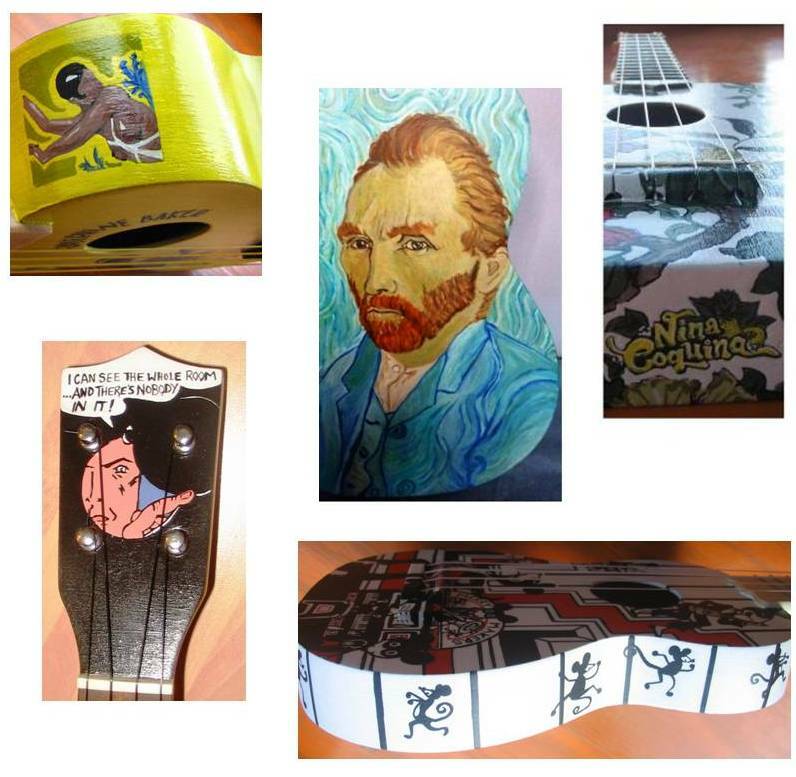 The majority of her work has been with ukuleles, but she will paint your designs onto almost any wooden instrument. Each design is used only once, making each instrument unique. Take a look around the website to find out more about these beautiful works and how to commission your own unique instrument. Many thanks to Paxukulele for allowing the use of these fabulous videos.